The Great Lakes region could lose $300 million in annual federal funding under a budget proposal released Thursday by the White House that would impose drastic cuts to the U.S. Environmental Protection Agency, a promise made by President Donald Trump during his campaign, and eliminate financial support to restore portions of the largest body of freshwater on Earth. Started in 2010 under former President Barack Obama, the Great Lakes Restoration Initiative has given $2.2 billion to eight states along the Great Lakes, a project that has led to improved water quality and pollution control and a bustle of waterfront development. It has also begun the process of ebbing the trove of invasive species that have offset the ecological balance of the Great Lakes. Those issues have cost states from New York to Minnesota billions of dollars, local officials say. Trump’s proposal calls for a 31 percent reduction to the EPA, including eliminating $300 million in annual funding for the GLRI program. The interconnected lakes of Superior, Huron, Michigan, Erie and Ontario weave across the U.S.-Canadian border. Combined, the lakes represent 95 percent of fresh surface water in the U.S. An estimated 40 million people rely on the Great Lakes for drinking water, according to the National Oceanic and Atmospheric Administration. Joel Brammeier, president and CEO of the Alliance for the Great Lakes, said that some of the same industries that helped make the U.S. an economic force — such as the production of steel, paper, chemicals and automobiles — also left behind a trail of environmental destruction, befouling the Great Lakes and the communities surrounding them. 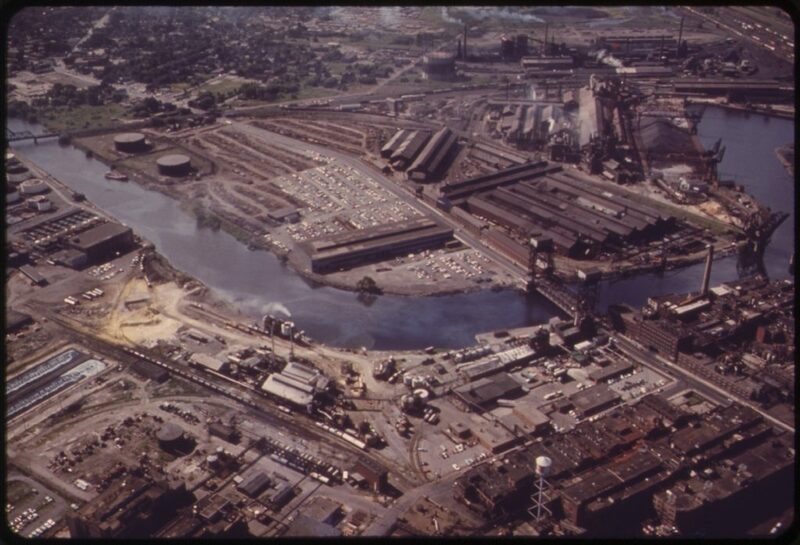 Once job creators, many of those industries abandoned Rust Belt cities and towns as they fled from competition or for cheaper labor overseas. Local officials and environmental advocates say the GLRI has helped them to begin addressing decades of widespread environmental devastation in hundreds of Great Lakes communities subjected to the perils of unchecked industry. Once a dumping ground for industrial waste near Lake Erie, the Buffalo River area in western New York has seen a resurgence in recent years following a more than $30 million infusion of GLRI funds to clean up its polluted waters and surrounding land. The project is one of more than 3,400 across eight states in the Rust Belt region that received funding through the GLRI. States also continue to contribute money and resources for the cleanups, along with business and non-profits. Jill Spisiak Jedlicka, executive director at Buffalo Niagara Riverkeeper, said the Buffalo River, which flows into Lake Erie, was effectively declared dead in the 1960s, with more than 100 contaminants like mercury, lead and PCBs pouring into the waterway for more than a century from manufacturing, oil production and municipal waste. 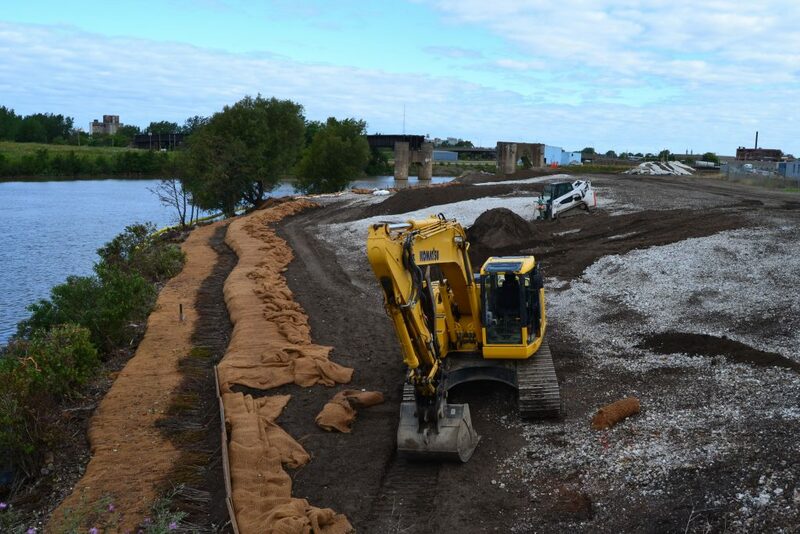 But in recent years, after dredging more than 1 million cubic yards of contaminated sediment and restoring habitat along the river’s banks, millions of dollars of investment are beginning to affect the area just south of downtown Buffalo, including with the construction of mixed-use buildings and the rise of tourism. Since the GLRI was launched, the funding has been used to improve water quality and restore 150,000 acres of habitat and 300 miles of shoreline, to spur development along unused and contaminated land and to control invasive species like zebra mussels and Asian Carp that threaten Great Lakes. Groups opposing the cuts say the funding has expedited the long-stalled process of remediating the Great Lakes. The foundation for the GLRI began with former President George W. Bush, who created a Great Lakes task force, while the funding initiative continues to receive bipartisan support from members of Congress representing the Rust Belt. Peter Annin, co-director of the Northland College Mary Griggs Burke Center for Freshwater Innovation in Wisconsin and author of “The Great Lakes Water Wars,” said much of the funding has gone to address some of the more egregious environmental issues identified by the EPA as “Areas of Concern (AOC),” including contamination at the Buffalo and Niagara rivers. About 35 to 40 percent of the $2.2 billion in funding has been designated to these projects, according to a review by the Center for Freshwater Innovation. 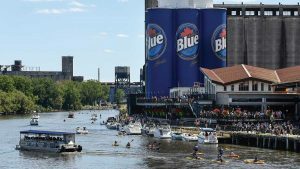 Two of those projects have been fully remediated, including Michigan’s River Raisin and Pennsylvania’s Presque Isle Bay. Several more are nearing the finish line, Annin said. More than 1.5 million people continue to depend on the Great Lakes for their livelihoods, generating about $62 billion in annual wages, according to a 2011 report from the University of Michigan. A commercial and sport fishing industry also brings in $7 billion each year for local economies. And the waterfronts that make up many of the Rust Belt cities along the lakes are beginning to see a resurrection in construction and development, in part because some of the contaminated water and lands have been cleaned up, lawmakers and advocates say. The president’s proposal to cut funding for Great Lakes rehabilitation follows another announcement that the U.S. Army Corps of Engineers would delay the release of a long-awaited plan to combat the growing threat of Asian carp into the lakes. The proposed funding cuts and the delay on Asian carp have drawn criticism from Republicans and Democrats. Spisiak Jedlicka said the Buffalo River project, including her organization’s efforts to restore habitat along its banks, should be complete by 2019. But many other tributaries just a few miles upstream from the roar of Niagara Falls continue to send toxins into the Niagara River, which is also listed as an area of concern by the EPA.